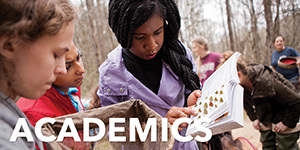 Meet our students and faculty. See what our alumni are doing. Schedule a visit. You'll get why this is a hot school. A top 10 fastest-growing city for software and Internet technology, an emerging hub for aerospace, and a hotbed for healthcare and biosciences. Be curious. Explore. Question. Challenge the status quo. Try the unfamiliar as well as the tried and true – and your academic experience will pay big dividends. 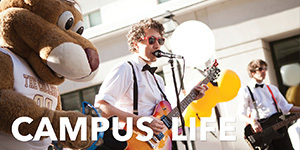 Take advantage of everything the College has to offer. Use your imagination. Move outside your comfort zone. Look at every new experience as an opportunity. And have fun! Our 19 varsity sports teams continue to pursue greatness. 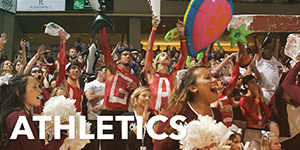 Be a part of the excitement and power that is CofC athletics. Once a Cougar, always a Cougar. Be an active part of the Cougar network. 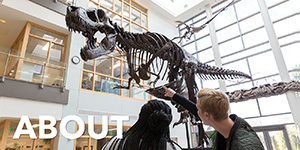 Lifelong connections start with the Alumni Association. 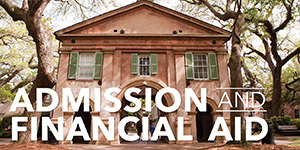 In keeping with the institutional mission and values articulated in the College’s Strategic Plan, this document is an on-going effort by the College of Charleston Board of Trustees to ensure best practices in good governance among its members, to promote higher education excellence throughout the institution and to aid Board members in implementing and supporting the College’s Strategic Goals. Ingram, Richard T. Ten Basic Responsibilities of Nonprofit Boards, 2nd Edition. Tom Trimboli, Senior Vice President for Legal Affairs/General Counsel. Ensuring effective governance of the institution is the most important responsibility facing Board members today. Understanding governance helps Board members fulfill their collective responsibility to the institution. Governance is the activity performed by an entity (such as a board, a city council, or a legislature) that holds authority within a system. In an organization system such as a public higher education institution, authority is granted to the Board of Trustees by the state when the institution is established. The Board is authorized to make decisions and set policies that define how the institution will carry out its mission; it is also held accountable for the actions that follow from those decisions and policies. The Board then governs the institution – that is, it directs and guides the organization from its position of authority. Governance is group action. Individual Board members do not govern the institution; rather, meeting as a group confers governing status to the Board as a whole. Governance implies the exercise of power and authority over the institution on behalf of the community it serves. In an ongoing effort to advise higher education excellence and practice the highest standards of good governance, The Ten Basic Board Responsibilities, Individual Board Member Responsibilities and Board Self Evaluations are presented in this document. Review and support a statement of core purpose and values that articulates the institution’s goals, means, and primary constituents served. Select, support and evaluate the President. In responding to the need to appoint a new President, the Board must reach consensus on the President’s responsibilities and undertake a careful search to find the most qualified individual for the position. Ensure that the President has the encouragement, endorsement and support he/she needs to further the goals of the institution. Support effective long-term strategic planning, including support of the Strategic Plan adopted by the Board on October 16, 2009. The Board should participate in the overall planning process and assist in implementing and monitoring the Plan’s goals. Monitor and strengthen academic and student development as well as admissions or related programs and services. Ensure adequate financial resources. One of the Board’s foremost responsibilities is to support all efforts to provide adequate resources for the institution to fulfill its mission and to move forward in accomplishing goals of its Strategic Plan. Protect the institution’s assets and provide financial oversight, including support of the financial model developed in accordance with the Strategic Plan. Enhance the institution’s public standing. Board members should clearly articulate the organization’s mission, accomplishments, and goals to the public and garner support from the community and the many campus constituencies. Support efforts to maintain legal standards and ethical norms for all Board transactions and reinforce those values campus wide. Maintain a competent Board. Board members have a responsibility to assist with the orientation of new members, and each member should periodically and comprehensively conduct an annual self-evaluation of his/her own performance as a Board member. Although governing boards have the responsibilities noted on the first page of this document because they have the legal authority to exercise them as their institution’s “fiduciaries,” individual members do not. Indeed, while individual Board members hold responsibilities that are considerably different from yet complementary to those held by the Board, they do not possess the Board’s legal authority (except when the Board specifically authorizes its officers or other members to have certain and limited authority to act on its behalf). Best practice includes clearly articulating the Board’s responsibilities and authority (preferably in the bylaws) and the responsibilities and expectations of Board members (preferably codified as a separate policy statement). Below is a statement of individual Board member commitment and responsibilities. Know the institution’s core purpose and values, goals, policies, programs, services, strengths, and needs, especially as specified in its Strategic Plan. Serve in leadership positions and undertake special assignments willingly and enthusiastically. Avoid prejudiced judgments on the basis of information received from individuals; urge staff, faculty and students with grievances to follow established policies and procedures through their supervisors. All significant matters coming to the attention of a Board member should be called to the attention of the President, Board Secretary and/or Executive Vice President, as appropriate. Judgments should not be based on “personal relationships.” Decisions should be based on merit and College employees should be held accountable based on their assigned responsibilities. Never violate any law, rule, or regulation pertaining to membership on the Board or to a Board member’s service as a public official of the state. Follow trends in higher education and keep informed. Bring goodwill and a sense of humor to the Board’s deliberations. Prepare for and conscientiously participate in Board and committee meetings, including appropriate institutional activities when possible. Ask timely and substantive questions at Board and committee meetings, consistent with individual conscience and convictions, while supporting the majority decision on issues decided by the board. Maintain confidentiality of the Board’s executive sessions and of any confidential information provided. Never speak for the Board or institution unless authorized to do so, but also remember that all utterances from Board members carry great weight with those within and outside of the organization. Suggest Board and committee meeting agenda items to Board committee chairs and the President to ensure that significant, policy-related and strategic matters are discussed. Counsel the President as appropriate, providing support through times when his/her relationships with various campus constituencies may be difficult or represent difficult circumstances. Avoid asking staff members for special requests of any variety, including those for extensive information that may take extraordinary time to gather and are not part of ongoing Board or committee work. Any requests for specific data or information should be directed first to the President, Board Chair, or Board Secretary. Serve the institution as a whole rather than any special interest group or constituency. A Board member’s first obligation is to avoid any preconception of “representing” anything other than the overall institution’s best interests. Avoid even the appearance of a conflict of interest that might embarrass the Board or the institution; disclose any possible conflicts to the Board in a timely fashion. Maintain independence and objectivity and do what a sense of fairness, ethics, and personal integrity dictate, even though not necessarily obliged to do so by law, regulation, or custom. Never accept (or offer) favors or gifts from (or to) anyone who does business with the institution. At all times, exercise prudence in the control and transfer of funds. Faithfully read and understand the institution’s financial statements and otherwise help the Board fulfill its fiduciary responsibility. Support the institution’s unrestricted annual fund as well as restricted programs/projects in line with individual interests and personal means. Remember, giving one’s time and expertise, as important as they are, are not substitutes for providing financial support according to one’s capacity. Assist the Institutional Advancement Committee and staff by helping to identify potential givers and implement fundraising strategies through personal influence where possible (corporations, individuals, foundations). Serve the organization responsibly and diligently by telling the institution’s story and presenting its accomplishments as well as its needs and current challenges. You are your institution’s logo. Serve your community as well by bringing its concerns, ideas, suggestions, compliments, and the like to the attention of the Board when they have merit. Remember, as a Board member, you are at the nexus of two-way communication. 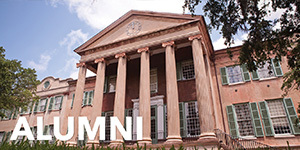 Service on the Board of Trustees of the College of Charleston is both an honor and a responsibility. High-performing governing boards often perform self-evaluations because the Board strives to achieve the highest possible levels of commitment and performance for itself and for its members. The purpose of the self-evaluation is for each Board member to have a clear understanding of how he/she views individual experiences and contributions to the Board’s work and responsibilities. The exercise also gives each member the opportunity to consider and recommend suggestions for the institution to take fuller advantage of his/her talents and interests. It will be the decision of each individual Board member whether or not to share this evaluation with the Board Chair to assist the Board in its ongoing efforts to execute best practices and higher education excellence as well as effective implementation of the Strategic Plan. 1. As a trustee, are you reasonably clear about what is expected of you? 2. Do you believe the individual Board member responsibilities constitute a reasonable set of expectations and benchmarks? 3. What aspects of your Board membership have been the most satisfying to you thus far, especially within the past few years? 4. What aspect of your service on the Board has been the least satisfying and enjoyable? 5. With regard to your current committee assignment(s), how satisfying are your current committee assignments? Do you wish to be considered for a change in committee assignment in the next bi-annual committee reassignment period? • to the Board’s annual goal in its unrestricted collective giving? • to the institution’s current campaign, project, or other restricted purpose that is of special interest to you personally? • to helping the development staff identify or cultivate prospective individual, corporate, or foundation donors? 8. Do you faithfully prepare for meetings by reading the materials provided in advance? 9. Do you have a good grasp of the institution’s financial condition, needs, and priorities? 10. Have you suggested an agenda item or issue to a committee chair, the Board chair, or President for consideration within the past couple of years? 11. Have you taken advantage of any opportunities to tell others about our institution’s work, programs, and services within the past few years? 12. Do you consider yourself to be an active participant in Board and committee meetings? 13. Do you faithfully respect the need for trustees to maintain confidentiality of the Board’s deliberations and certain information provided to you? 14. Are you satisfied that you consistently exercise objective and independent judgment for the organization as a whole and not only for particular part(s) of it? 15. Have you faithfully considered any and all possible conflict of interest issues in regards to your Board service? 16. Select one to three personal goals to broaden your service to the Board of Trustees and the College of Charleston for next year. 17. Select one to three suggested goals for a particular institutional office or department and/or for the institution as a whole for the President and Board to consider for next year. 18. What have you done to further the objectives of the Strategic Plan? 19. Please consider any closing comments or suggestions concerning your Board service and how the Board as a whole might strengthen its effectiveness. Ingram, Richard T. Ten Basic Responsibilities of Nonprofit Boards: 2nd Edition. Washington DC: BoardSource, 2009.